Imagine a wine that is like the love child of a dry German Riesling and a French Sauvignon Blanc. It's name would have to be Roditis. Roditis is my 100th variety and marks the unofficial completion of my Wine Century. I had a tough time deciding which grape to drink last, but as a historian I decided to go with a grape from one of the world's oldest grape-producing regions. What is Roditis? It's a a pink or rose grape that is used to make dry white wines. The juice from Roditis is often included in Greek's famous resinated white wine, Retsina, which I have to admit is a work in process for me. I tried a bottle of Boutari Retsina given to me in a wine swap a few months ago with domaine547, and even though I chilled it and tried to get in the mood, its pine-ness proved to much for me. I should also note that Boutari's Retsina is made with yet another Greek grape variety--Savatiano. If you are interested in Greek wine, check out some of the great reviews that other bloggers have posted recently about wines from this region. 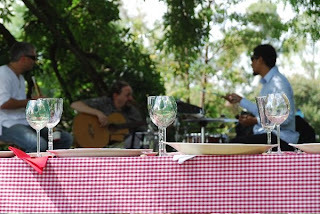 There seems to be something of a Greek revival in the blogosphere, with Tasters A and B from Smells like Grape sipping an Agiorgitiko with some kebabs just the other day, and Richard the Passionate Foodie enjoying his red wine made with Xiomavro. The 2005 Lafazanis Roditis, however, was a lot of white for the price. ($11.99, K & L Wines; available elsewhere for $9-$12) It was bright and nervy, and everything that I look for in a summer white. Delicate aromas of peach, stone, and the kind of lemon oil you use to polish furniture with enticed you to take your first sip. Flavors of lemon and the sensation of wet stone filled your mouth and delivered on all the promise that the aromas suggested the wine had. My favorite part was the aftertaste, which had just a touch of honeyed heaviness (rather than sweetness) along with some herbal notes. Excellent QPR. Have your Roditis with some platters of Mediterranean nibbles--hummus, roasted red peppers, olives, chunks of bread, olive oil--or with a more substantial Greek-inspired dish of grilled shrimp with chickpea puree and pitas along with a Greek salad. Thanks to all of you who have been so encouraging about my adventures into lesser known varieties. And good luck to those of you who are trying to reach your own Wine Century. It's a fantastic way to learn about wine, that's for sure. I've been bitten by the "new variety" bug so don't be surprised if the offbeat, the less-traveled, and the rare grapes of the wine world continue to make appearances here on the blog. In a time when the dollar's buying power isn't what it used to be, these wines often represent excellent value and exceptional taste. She will be pouring and pairing a pretty dazzling array of wines. The weekend kicks off on Friday night with a champagne tasting, moves into a discussion of Andrea's "big 6" grapes, and then concludes with a dinner of 2 tasting plates served with examples of the wines made from them. Saturday morning will be devoted to Riesling, Chardonnay and Sauvignon Blanc in their old and new world styles, followed by lunch and the wines of Italy and Spain. The day concludes with a seminar on Pinot Noir, Cabernet Sauvignon, and Syrah. If this approach sounds familiar, it's no doubt because you've read Great Wine Made Simple. Robinson (as I mentioned yesterday) is one of the best wine teachers out there, and she has a knack for breaking down the world of wine into easily digestible chunks. Her love of food and wine pairing stems from her experiences as a sommelier, so you will learn about not only wine but the foods that go with it. The price above does not include transportation or lodging, but does include a considerable amount of awfully good wine as well as a chance to spend some of your spring in Napa Valley. Can't make the April event, but are dying to attend? Save the dates for her August weekend course, or the biggest splurge of all: a week-long Ultimate Wine Experience. All of this beyond your financial reach? Then buy the book, and set up your own Wine Immersion Weekend right in your own home and invite your friends! 2005 Alma Rosa Pinot Noir Vin Gris El Jabali Vineyard ($20). Pale salmon in color, this dry wine tends slightly towards copper. The aromas were of field-fresh, slightly under-ripe strawberries, or those little French wild strawberries called frais des bois. Tart strawberry flavors, too, with no hint of watermelon. Very distinctive. 2006 Fort Ross Pinot Noir Rose ($16) This beautifully perfumed dry rose has abundant raspberry fruit and a delicious mineral streak. The NV Domaine Allimant-Laugner Brut Rose is a beautiful, drinkable, and affordable rose sparkling wine that I reviewed just last week. The aromas were full of strawberry, with some mineral notes just around the edges. 100% Pinot Noir grapes go into the wine, which accounted for these aromas, and the same strawberry and mineral combination was also present in the flavors. The finish was reasonably long, and the mineral notes became pleasantly chalky. Domaine Allimant-Laugner is made in the Champagne method, so it will suit traditionalists down to the ground. How about a pink sparkling dessert wine? The 2007 Innocent Bystander Muscat ($9.99/375ml, domaine547), with its beautiful pink color and aromas of juicy peach and strawberry, is a winner. You pop the crown cap on this little bottle, and everything about the experience is light, summery, refreshing, and fun. The flavors keep up this playful spirit, continuing with the peach and strawberry but adding some clementine to add some zing and freshness. Absolutely yummy! Had a good rose lately? Put it in the comments for this reader. Another reader asked if I could suggest a few book titles for a wine lover who is just starting out on their journey. I continue to think that Andrea Immer Robinson's Great Wine Made Simple is one of the best books for someone just beginning to get into wine. She is particularly good at explaining the major varieties (Cabernet Sauvignon and Chardonnay, etc) and explaining new world and old world styles of wine-making. If you would prefer an overview of major wine styles that is regional, rather than varietal, in its focus, try Oz Clarke's Introducing Wine: A Complete Guide for the Modern Wine Drinker. Clarke has a wonderful writing style, and can really help you understand the world's most interesting wines that you will definitely want to try. Karen MacNeil's The Wine Bible is, in my opinion, the best all-around reference book for someone new to wine, combining clear explanations with lots of coverage. It begins with terrific overviews on how wine is made, suggestions on how to shop for wine, and instructions on how to taste wine. Jancis Robinson's How to Taste is the best book for helping any new wine lover understand what the hell we are talking about when we describe a wine--and she helps you figure out how you can taste it, too. Anybody else have suggestions of books that were helpful to them when they were just starting out? Hope these help. And if any of the rest of you have questions for me, drop me a line or leave a note in the comments section of any post. I'll get back to you--I promise!--and you may see it answered here on the blog to get some more feedback. Some Italian reds stomp onto the stage with heavy boots and demand your attention. Others slip in on little, red feet and steal your heart away. Piedirosso fits into the second category. It's an exciting red grape variety from Campania, the region that is home to Naples and the Amalfi coast. And it is yet another surprise--in a string of surprises--that have come my way since setting out to explore the wines of Italy. The 2005 La Sibilla Piedirosso is made from grapes grown in the volcanic soils of the Campi Flegrei appellation. ($14.99, K & L Wines) Campi Flegrei has bragging rights to claim it is the home of the ancient god of fire, Vulcan. 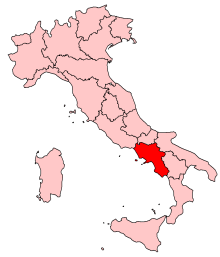 It is also a region that has preserved some of Campania's wine heritage, in the form of plantings of the white variety Falanghina, and the red variety Piedirosso. Phylloxera devastated the grape stock by the early 20th century, but today the Piedirosso grape (which is named for the striking red stems that connect each grape to the cluster and some say look like the feet of doves) is making something of a comeback. When you pour it, it has a striking clear garnet color, which is very clear and bright. Startling aromas of bacon fat and smoke make the first impression, and you can reach for some high-toned black cherry fruit aromas underneath. 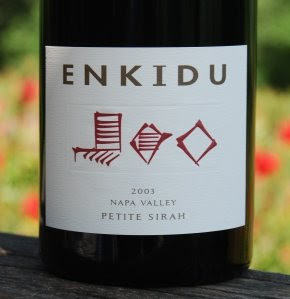 There is a silkiness on the palate, accompanying flavors of leather, black cherry, tar, and earth. Some will find this a bit bretty and barnyardy, but I liked the funkiness and thought it in no way overpowered the wine's fruity complexity. Given all this wine delivers in the flavor department, I'd say this is excellent QPR. With your Piedirosso, I'd try a fresh and post-modern take on good old eggplant parmesan. Toss some farfalle pasta with sauteed eggplant, cherry tomatoes, basil, garlic, parmesan, and fresh ricotta. Eggplant is common in the traditional food of Campania, but this recipe is a little less labor-intensive to pull together and put on the table at the end of a long day at work than many of the time-tested alternatives. The bitterness of the eggplant is a nice counterpoint to the juicy black cherry fruit, and the smokiness of the wine picks up the smoky notes that emerge from a nicely caramelized eggplant, too. As with any unfamiliar grape, it can be useful to know a more familiar grape variety reminiscent of the Piedirosso's flavors, aromas, and textures. To me, this is like a Burgundian Pinot Noir, and I think this is an Italian red that will appeal to Burgundy fans. In a time of the dipping dollar, it's good to have a backup. My guess is they may not realize they are drinking an Italian wine at all, if you don't tell them. Cremant d'Alsace--where have you been all my life? --just over $20. What's not to like? Wine comes to this grocery store up a long, winding road and that kind of driving costs money. You will find it in a store online or near you for between $17 and $20. If you do, you should buy it. Cremant d'Alsace is an appellation in the Alsace region of France. 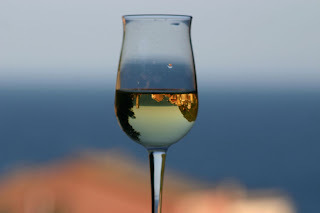 Pinot Blanc and Pinot Noir are often used to make Cremant d'Alsace, and while the region's sparkling wine may not be as well known as that from Champagne or Burgundy, wine has been made here for a very long time. Take this wine, for example. Domaine Allimant-Laugner is a family-owned and operated business. The Allimant family have been involved in the wine business since 1724, when they settled in Alsace near Orschwiller. Today, Hubert Laugner makes wines based on his belief that what he does is both an art and a vocation. His wine-making philosophy includes observation, patience, and the pursuit of beauty. The result is this beautiful, drinkable, and affordable wine. The first reaction you will have to it is, "it's actually pink!" Not fuchsia, not salmon, not copper, it's shell pink--soft and delicate, with some coppery glints around the edges. When I held it up to the light I saw a very active medium bead or bubble, which is always a good sign in my book. The aromas were strawberry, with some mineral notes just around the edges. 100% Pinot Noir grapes go into the wine, which accounted for these aromas, and the same strawberry and mineral combination was also present in the flavors. The finish was reasonably long, and the mineral notes became pleasantly chalky. I didn't detect much yeastiness in this dry wine, but instead the overall impression was one of cleanness and brightness. Domaine Allimant-Laugner is made in the Champagne method, so it will suit traditionalists down to the ground. Excellent QPR. This is one of those wines that you would be tickled pink to have on hand when the occasion calls for toasts. Personally, I'm buying every bottle left in the store before I leave for LA today. If you have a wedding in your future, or know somebody who does, I would highly recommend this wine for the celebrations. And if not, buy some for yourself. Are you tired of running out to the store at the last minute for WBW selections? Do you sometimes wish you were drinking the same wine as someone else on WBW, so you could compare your notes to theirs? Have you always wanted to participate, but never been organized enough to do so? Domaine547 comes to the rescue once again with their April-May-June WBW 3-pack of wines, which will get you sorted out in no time so that you can kick back and relax, secure in the knowledge that you have what you need to participate in the fun. At least until July. Check out domaine547's site for details on vintage, makers, etc. Oh, and the shipping policies. Cost of next three WBW bottles shipped to you from domaine547? under $45. No last minute frantic searches in a wine store near you? priceless. The announcement has just been made of the theme for WBW #44, the monthly online tasting event developed by Lenn Thompson of Lenndevours. Our host in April will be Gary Vaynerchuk, the video blogger and wine retailer of Wine Library. 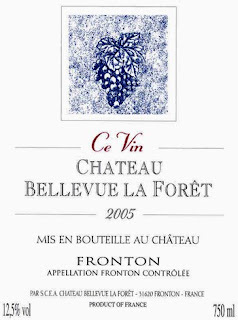 Cabernet Franc is a favorite of mine when I need to cross-train my palate and give my tastebuds something different. This should be a fun theme, and if you want to participate drink your Cabernet Franc by April 2 and post the link or the review in the comments section for the announcement's episode. As far as I'm concerned, the way to spell Spring is SB. Short for Sauvignon Blanc, the fresh, zingy, grassy, and citrus flavors of this grape variety seem to go perfectly with the longer, warmer days and the fresh produce that is beginning to show up in markets. If you are looking for a good Sauvignon Blanc, but don't want the assertive New Zealand variety, nor the round and rich California style, why not try one from Burgundy? You may think that Chardonnay and Burgundy go hand-in-hand, but Ghislaine and Jean-Hughes Goisot demonstrate that some stunning examples of SB are made there in the Saint-Bris AOC. The Goisots grow their grapes using both organic and biodynamic guidelines, and I was pleased to discover the mineral qualities in this wine that I so often associate with fruit that is grown under biodynamic protocols. 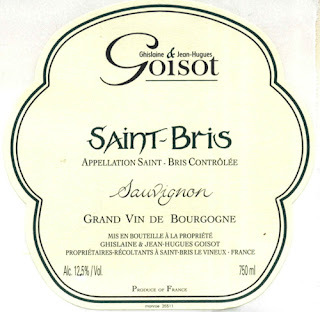 The 2005 Ghislaine and Jean-Hughes Goisot St. Bris was a terrific example of a classically-styled Sauvignon Blanc. ($15.99, domaine547). The aromas were herbal without being too grassy, and there were also abundant citrus and just a touch of wet beach stones. The flavors were poised nicely between the green and juicy citrus elements of the wine, and the stone turned pleasantly chalky as it touched your tongue. There was a reasonably long finish, with just enough tartness to make your mouth water and want more. This was a definite rebuy, and very good QPR. Get a jump start on spring cooking by pairing your Sauvignon Blanc with an equally springy dish just made for the wine that involves pasta, grilled vegetables, and goat cheese. This is a great opportunity to dig out your gas grill if you've got one, and if not the vegetables can be broiled or cooked on a stovetop grill pan. Once that's accomplished, you chop them up--radicchio, peppers, zucchini, squash, leek, and artichoke hearts--and toss them with cherry tomatoes, corkscrew pasta, and some tangy-creamy goat cheese. If you've never had goat cheese with Sauvignon Blanc the two are made for each other, and you're in for a treat. I know that in some parts of the country spring feels pretty far away right now. But this wine and the pasta dish that goes so nicely with it will make you feel like spring inside, even it it's still cold outside. And for those of us lucky enough to be smelling daffodils and seeing robins digging up worms already, we can just start enjoying the season in full. Thanks to CellarTracker's built-in cellar value feature, and their tie-in with the wine auction site WineBid.com, I've been watching my wine values for the last few months and recently noticed that my cellar value was going up. I knew I was still spending well under $20 a bottle for most of my wine. So I wondered what was going on and looked further into the depths of my small cellar for more information. Turns out that Bordeaux really does go up in value. My 2003 Chateau La Vieille Cure purchased at Costco last June has crept up in value from $21 to $35. So, too, do some Italian and Australian reds. A 2001 Stefano Farina Barolo I bought for $28 in December 2006 is now worth $40, for example. And, I bought a 2005 d'Arenberg Laughing Magpie Shiraz-Viognier about a year ago for $19--and it's now worth $34. In my cellar, it also turns out that the more you spend on wine in the first place the more likely it is to increase in value. I bought a 750ml 2003 Chateau Lafaurie-Peyraguey Sauternes from BevMo for $45 back in October of 2006. It's now worth around $75, according to WineBid.com's quarterly average price. This is the most expensive bottle of wine I've ever bought. It's now the 2nd most valuable bottle I've got in my cellar--the bottle that beat it was a gift. Do you know what your wine's worth? Even if you're not an investor, and even if you spend relatively little on your wine in the first place you may be surprised. 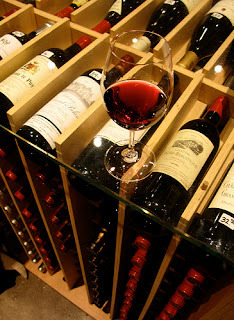 But remember: a wine's value is relative to its condition, so think about storage conditions. And always consult a professional if you are making serious wine investments. You may be in the position of hosting such an event. What to serve in the wine department? Not a red, with the increasing temperatures and the fresh vegetables that crop up on most party tables this kind of year. What you need is easy, quaffable whites. But you don't want factory-style whites--you want something a bit more distinctive. And you don't want to spend a king's ransom on the wines, either, especially not if you are hosting more than 50. So here are three recommended whites, all of which go with a different kind of spring food, and all of which can be had for around $10. Some a bit more, some a bit less. All are delicious, and were just tested out on 75 guinea pigs--I mean guests. If you are serving roast chicken, pasta with a creamy sauce, or varied cheeses: Get yourself some 2006 Razor's Edge Chardonnay. I got mine from domaine547 (my new party wine headquarters) for $9.99/bottle, but I cleaned them out of the stuff, so you may have to elsewhere for yours. This is an unoaked chardonnay that has a zesty yet creamy set of flavors and aromas that will be a nice pairing for the food you are serving. There are smooth apple aromas, a nice apple and honeydew melon set of flavors, and a freshness that keeps you coming back for more. Good chilled, but because it's not oaked it's not horrible when it warms up a bit (as it's bound to do during your party). Excellent QPR. If you are serving asparagus frittata, goat cheese, or vegetarian dishes: Get yourself some 2006 Cameron Hughes Lot 26 Marlborough Sauvignon Blanc for $11. This was released last apring, and I've already given it a thumbs-up, but I had a bottle this week and its every bit as fresh and delicious as it was 9 months ago. Check out the full review here, and pick some up at your local Costco or directly from Cameron Hughes. The zingy herbal profile of the wine is made for salads, it sings with goat cheese, and it is just fine with one of the world's most-difficult-to-eat-with wine vegetables: asparagus. Excellent QPR. If you are serving mixed appetizers and dishes: The wine for you is the 2006 Zonin Pinot Grigio Amore. I received this wine as a sample, but you should be able to find it in a store near you for around $8. This is a simple, straightforward, classic Pinot Grigio, which is seems has become the default wine option in bars and restaurants all over America. It has abundant bitter lemon aromas, and a citrusy flavor with a pithy edge that keeps the wine fresh and interesting. This is not a wine to have with a burger, but it will certainly shine with anything in the appetizer department, and the price is right to keep you (and your guests) happy. Very good QPR. If none of these sound right, or you just want some help picking the perfect wine for your special occasion, ask your favorite wine merchant for some suggestions that fit within your budget. In the past, I've gone to BevMo and done my best, but a lot of stress was taken off my shoulders this year when I simply asked domaine547 for their recommendations. The wine they suggested was terrific--and we ran out. Is there a better endorsement? Good luck with your spring parties and if you know there's one in your future get the wine you want NOW. It will be one less thing to worry about. If you think you are the only person in America who is overwhelmed by wine, think again. 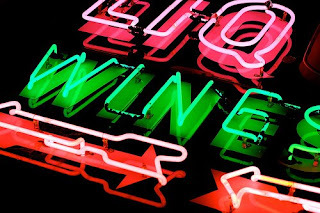 Wines and Vines' Tina Caputo revealed that 23% of 3500 wine drinkers surveyed feel as you do, according to a study commissioned by Constellation Brands and released under the name "Project Genome." Why are people overwhelmed? There are too many options in the store, they don't know what to buy (so they pick the label they like best), they can't find information in the stores to help them that is easy to understand, they can't find anyone to help them make the decision, and if the information they get is confusing, they walk out of the store without buying anything. This may explain why the 23% of those surveyed who fit into the Overwhelmed category bought only 13% of the wine consumed. Jose Fernandez, Constellation's CEO, concluded from the study that "We've under-communicated to these [Overwhelmed] consumers," he said. "Increasing per capita consumption in the Overwhelmed category is our biggest opportunity… If we do nothing, today's Overwhelmed will be tomorrow's Overwhelmed." Fernandez blames this trend in part on the wine industry's tendency to hire Enthusiasts, who can't empathize with the Overwhelmed. Constellation's head of consumer research, Leslie Joseph, concurred and said that "We need to do a better job as an industry of [sic] helping these people understand what a wine's going to taste like." I hate to be a contrarian, but I totally disagree. 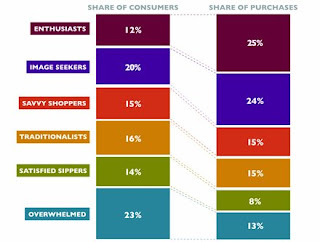 First, there are two categories where I think there is much more potential for growth in wine sales: the 15% of Savvy Shoppers who like trying new wines and could probably be persuaded to be even more adventurous; and the good old Enthusiasts who are already buying a lot of wine and will probably only continue to buy more. Second, I don't think Enthusiasts are to blame when it comes to a failure to reach the Overwhelmed. If someone is overwhelmed by wine then there are probably a lot of factors contributing to the issue that no one--no matter how clearly they communicate--is going to be able to surmount. At least not in a 5 minute encounter in aisle 4 of BevMo. Third and most importantly the Overwhelmed will not be made less overwhelmed if Constellation and other big brands start explaining more clearly how their wine is going to taste. Such tactics will only make the Overwhelmed even more panicky. I don't think people trust advertising when it comes to wine. Most people think the opposite: that the wine advertising is inherently not to be trusted. That's why so many people rely instead on supposedly unbiased, authoritative, points-based ratings, and why if they read 6 wine labels that all promise raspberries and crushed velvet fruit they leave the store in despair. The Overwhelmed want someone else--someone not making and selling the wine--to tell them what the wine tastes like. So is there a way to help the Overwhelmed, send them armed and ready into Wine Warehouse to face the Sauvignon Blanc aisle, and point them in the direction of wine enthusiasm rather than wine frustration? It's called the Internet--and it's less scary than a wine store because you can go there in your pajamas. Type the name of a wine you've seen in a store or on tv into a search engine, and you will get information. Will you get too much information? Of course, but you have to let it wash over you and hold on for dear life to the few bits and pieces that float by that make some sense. This is how I feel when I ask someone to explain baseball. Gradually, you will find that more and more pieces "stick," and you will feel less overwhelmed when you go into the wine store to make your purchses. You may even find information in your searches that comes from Enthusiasts who run wine blogs like this one and at least try not to be too scary. When you do, you might get hooked on this wine malarkey and turn into an Enthusiast yourself. The next time you're in the wine store, I want you to keep your eyes peeled for Gamay. But don't just look for Beaujolais bottlings. Look for a Gamay from the Loire. The Loire also has a strong tradition of cultivating this old grape variety. Gamay is grown throughout the Loire, and it tastes a bit different from Beaujolais examples. This isn't surprising, but it confirmed my sense that the Gamay variety can have the same interesting variations from region to region as the finest Pinot Noir--at a far more affordable price. I recently tried an excellent QPR Loire Gamay: the 2006 Chateau Courtinat Tradition. Made exclusively from old vine grapes grown in the Saint Pourcain VDQS, I bought this from Garagiste as a future for just under $12 ($11.84 to be exact) in the fall. 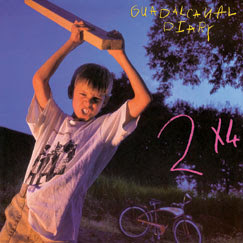 It's no longer available through Garagiste, and I unfortunately can't find it elsewhere on the web. But I wanted to write about it anyway because it was so distinctive--and so good. It had a beautiful deep ruby color, just like your favorite Pinot. There were lovely aromas of raspberry, cherry, earth, and mushroom with a pronounced whiff of iron. The flavors were perfectly balanced between fresh red fruits, earthiness, and mouth-watering acidity. I liked the silkiness of the wine, and the mineral taste, that reminded me of iron, that hung around in the mouth after you swallowed. The sense of depth in this wine belies its 12.5% alc/vol indication. This may not pack an alcoholic punch, but it certainly isn't a lightweight in the taste department. At a time when many of us are struggling with the late winter blahs, Gamay is a perfect wine choice. It's not too light, it's not too heavy--it's just right. It will be just as good now with a bowl of soup as it will be in a month or so with ham (if that's what sits on your spring table) or even in June with some BBQ. Right now, you can give yourself a nice jolt of the summer eating to come by preparing a Greek pasta dish with olives, capers, tomatoes, feta cheese and lots of parsley. It will blow some of the cobwebs out of your winter diet, and the garlic and feta are just lovely with the smooth, cherried flavors of the wine. It's time to bring some excitement back to your wine list, and your table. All the things that make Gamay a perfect fall-into-winter wine make it a perfect winter-into-spring wine as well. Drinking Gamay is kind of like putting your wine habits on daylight savings time--it's a sure sign of spring. Alessandro de Conciliis likens making wine to playing jazz. The analogy is a good one. Both take specific elements, put them into new combinations, mix the old with the new, and improvise when necessary to make things sing. Based in Campania, de Conciliis makes a number of great wines, but I wanted to taste his sparkling wine because of the shared Roman heritage that this Italian region has with the French region of Champagne. When I think Italian sparkling wine I think Prosecco, but I'm learning that there's a whole world of choices out there in Italy if you like bubbles. The 2005 Viticoltori De Conciliis Selim sparkling wine is just one example. ($19.99, K & L Wines; available elsewhere for between $15 and $20) Named after the jazz musician Miles Davis, it's made from 70% Fiano (variety #97 in my Wine Century Club) and 30% Aglianico grape varieties--the first native to the region, the second brought to Campania in ancient times by the Greeks. This was a good QPR sparkler, with a pronounced yeasty aroma. Citrus and nuts played a duet in the flavors, and the wine was active in your mouth with its abundant small bubbles/bead. This wine was better with food, given its yeasty aromas, and it went especially well with appetizers--especially those that involve bread like thin grissini, or nuts (I loved this with a handful of cashews). It was a treat to try this interesting Italian sparkling wine, and confirmed my suspicion that Italian whites are going to play a significant role in my top wine discoveries this year. Yesterday's Wine Blogging Wednesday devoted to "comfort wine" had me thinking all day about how we come to terms as human beings with what we drink. Some of us think about wine. Some of us think and write about wine. Some of us just drink the stuff, and can't figure out why the rest have to make such a big deal out of something that's supposed to be pure pleasure. First, there were the Cartesian types, who Rene is no doubt toasting from the grave. They had to think about what might make their mind relax! Jill from domaine547 spent time "racking our brains, trying to think of a wine that comforts us more than any other," and came up with "wine in general." (hear, hear!) Farley of Behind the Vines had a similar experience, and found herself "thinking about this Wine Blogging Wednesday assignment for a while, [with] different wine styles and varieties running through my head like determined marathon competitors." Wannabe Wino admitted that month's "theme required a bit of thought on my part," but I wasn't surprised when one of my favorite Zinfandel fans picked--Zinfandel! CarolB of Pour More also "had to really think about what “comfort wine” means to me," before settling on something readily available and quaffable. Wine Connection's Orion Slayer also had "to think a while" about his choice. Some folks were on the other side of the mind/body divide, and either made a point of picking wines that they didn't have to think about, or focused on the experience of drinking rather than the wine itself. Ryan of Catavino reported that his comfort wines were those that were "simple, straightforward and don’t demand a lot of my palate or mind." Erika from Strumerika agreed, "the most relaxing wines require little thought." Taster B at Smells Like Grape gave us a complete sensory run-down of where and how comfort seeps into the wine drinking experience, and Monkuwino from One Wine Per Week also "wanted to focus more on the experience" than the choice of wine. Richard the Passionate Foodie painted a very enticing picture of how to experience wine and comfort simultaneously: "Just pour a glass, sit in my big, comfy chair and either watch TV or read a good book." I found myself agreeing with the Santa Barbara Wine Advocate from West Coast Wine Country Adventures, who "thought about what brings me comfort" and discovered that thinking about wine was high on her list. She said that "great wine engages so many of my senses, that I don’t unwind per see, but I do refocus my mind from perhaps a tough day at work to investigating what the wine has to offer." Her list of what she thinks about while she's drinking is almost identical to the one that I go through sipping a glass. For me--and I think for the SB Wine Advocate, too--thinking about what you're drinking is not separate from the pleasure. It's an integral part of the pleasure. 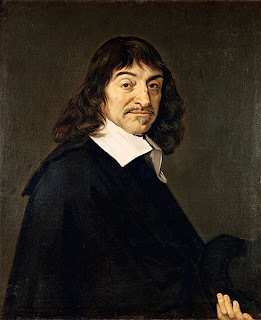 So much for Descartes! At the end of the day, I'm convinced that Descartes needed to reflect more on how wine blows his theory out of the water. 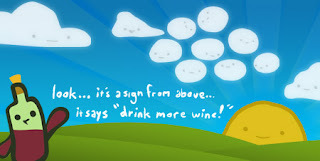 How can you separate the mind from the body, or thinking from sensory pleasure, when you are drinking a glass of wine? Wine is both a cerebral activity, and a source of comfort. And that's a good thing. Jill from domaine547 said it best: "Having wine in our lives has made us more relaxed, more thoughtful, and more balanced." So here's to drinking--thoughtfully and with great pleasure. Wine Blogging Wednesday for March 2008 is all about comfort. New dad Joel Vincent, who not only dreamed up the Open Wine Consortium but posts to his own Wine Life Today Blog, clearly knows how to find comfort in the chaos. With all that exciting stuff going on, he still hosted WBW. Pretty impressive. Joel asked us to drink and write about a wine that made us feel relaxed, comfortable, and happy at the end of the day. In essence, he wanted to hear about our go-to comfort wine--the bottle we reached for knowing it was going to deliver. For me, the choice was easy, and it won't come as a surprise to regular readers: the wine has to be from Chateauneuf-du-Pape. For me, drinking wine from this region is like sipping time, and time is something that I don't have enough of these days. It's historic, and old-fashioned, but fruit-forward and ready to drink young as well as with some age on it. It's made with grenache, which is aromatic, but usually has some syrah in it as well to add some heft to the wine. It's everything I ever want from a wine in term of fruit, acidity, complexity, and green/floral notes. When I feel bad and want to feel good, I open Chateauneuf-du-Pape. So when we got news over the Twitter wires last week that Joel's new daughter, Alexa, had been born, I popped open a bottle of Chateauneuf-du-Pape in her honor. A little bit before WBW, I admit, but I thought Joel would forgive me in this case. 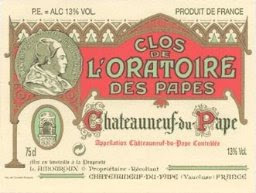 I bought the 2001 Clos de l'Oratoire des Papes Chauteuneuf du Pape a year ago from Whole Foods, on sale for $21.99. Right now, you can find it for around $30. While this wine did make me feel my normal, Chateauneuf-du-Pape sense of comforted, and represented good QPR, I think you can do better for around $30, although for just over $20 this was good QPR. The wine was rustic, with simple plum and spice aromas and flavors. A bit of black olive and bacon fat were detected upon on first opening, but those aromas dissipated quickly as it got some air. Then, the fruit came forward, and the wine tasted mostly of plums and cherries. After a day on the counter, preserved with some of that gas in a can, it had turned into a Grenache fest with lots of sweet fruit and very little spice. If you have a bottle of Chateauneuf-du-Pape and want to experience even more comfort, try pairing it with this Mediterranean-style chicken and bean stew. The warm, herbal flavors were a perfect counterpoint to the spice and fruit, and the tiny bit of heat from a dried chili pepper that cooked in the stew helped to pick out the peppery notes in the wine. Thanks to Lenndevours, for dreaming up this event, and thanks to Joel for hosting and sharing the joy of his new daughter with us in the blogosphere. Alexa has lots of virtual aunties and uncles to count on from the wine blogging world--and she better look me up when she's checking out colleges! See you back here for the WBW #44 announcement from host Gary Vaynerchuk and the roundup of all this month's posts. 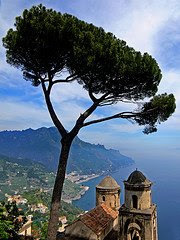 The other major wine region to have earned the phrase is Italy's "fortunate countryside": Campania. This month we move up the boot of Italy to the front shin area and tackle the land that brings you seafood, fried calamari, pizza--and lots of great wine. Famous for its reds, and its whites, Campania also makes sparkling wine--just like France's Champagne region. If you want to get in the mood for some of the best that Campania has to offer in the food and wine department, here are some things to get you started. 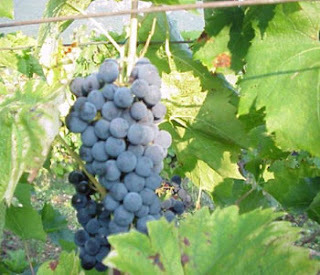 Wine Resources on the Web That Focus on Campania: WineCountry.it has a more detailed map of the region, a good overview of the area's viticulture, and description of Campania's indigenous grapes. Still looking for some wine from the region? Check out this directory of more than 100 wineries from Campania, with links to retail sources can be found. Music to Listen to When Drinking Wine from Campania: Alessandro Scarlatti, music played on the zampogna and ciaramella (Campanian bagpipes), the amazing Almamegretta. Books Set in Naples: Shirley Hazzard's The Bay of Noon; Carlo Levi, Christ Stopped at Eboli; Susan Sontag, The Volcano Lover; Robert Harris, Pompeii, A Novel. I'm looking forward to exploring this region of Italy with you, and as always if you have some recommendations of specific wines, please let me know. There's news from the Wine Book Club, the internet's online discussion of wine books led by wine bloggers and their readers. First, our fearless leader for WBC #1, David McDuff of McDuff's Food and Wine Trail, posted a superb roundup of all 24 of the online reviews of Vino Italiano! 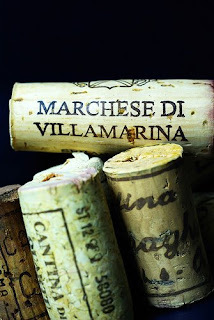 If you are interested in Italian wine, and thinking of buying a book on the subject, you will want to know what these bloggers and readers think of the book. 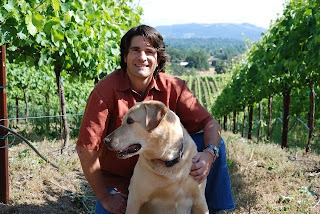 Second, Tim Elliott of Winecast will be our host for WBC #2. He's picked a book that's shorter (that's good) and has a central story (also good), and hopefully will be easier for you road warriors, busy parents, and otherwise overextended folks (ok, that's everybody) to get through between now and the last Tuesday in April, when we reconvene online for our discussion. 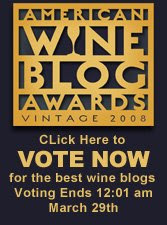 Head over to Winecast to see the title, and to climb aboard this new event in the wine blogosphere. In the next few weeks, look for a Spin the Bottle review from our favorite wine hiking wine blogger, Russ the Winehiker, who will let us know what he thinks of a pictorial survey of American viticulture, Wine Across America. Thanks to all of the 24 wine bloggers who participated in the first event, and a huge thanks to David for getting us off to such a great start. Additional thanks to Tim of Winecast for setting up the Wine Book Club blog, where we will post the new themes and links to the roundups as they are announced, along with handy links to purchase the books online.